Many years ago now, I went to an exhibition of landscape photographs on the South Bank, perhaps in the National Theatre and was saddened at what I saw there. This was a show by a photographer who was then being widely published and referred to in the press as Britain’s leading landscape photographer and these were colour images and almost every one seemed to be more about using what were then the fairly recently introduced graduated colour filters from Cokin and other manufacturers than about the landscapes that were depicted. Things of course have changed since then, with the advent of Photoshop, effects filters, cloning, HDR and all the rest of the techniques now available to mess up photographs. Of course I’m not averse to a little correction of images, cleaning off the dust, adjusting the contrast, dodging and burning etc, but I think there are fairly clear limits between things intended to enhance the vision and those which are aimed at creating fantasy. 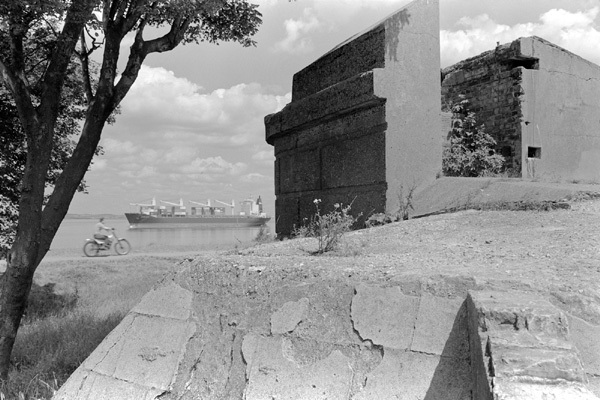 Back in the early days of photography there was a good practical reasons why landscape (and seascape) photographers had to use separate sky negatives. Emulsions were only sensitive to the blue end of the spectrum and with exposures made for the land the sky was almost always an opaque black on the negative. Given the difficulties of photography at the time it was understandable and excusable that photographers might rely on a few good sky negatives they had made to supply what the process failed to deliver. Something, almost anything, was better than nothing. But once we moved to panchromatic film – sometimes helped a little by yellow-green, orange or – often far too much by red – filters I think there was little justification for the practice. Probably most of those who take part in contests such as the ‘Landscape Photographer of the Year‘ will think of me as an incredible purist, and sneer at me as a ‘record photographer’, but for me the idea of the record is at the heart of photography. It isn’t of course a case of mechanical or objective process of reproduction, but a highly subjective interpretation of reality, if one whose subtleties would appear to be lost on those sneerers. When I saw that show years ago, my favourite living British landscape photographer was probably Fay Godwin, who I’ve written about on various occasions. I knew her slightly, having first met her when we both went to study briefly with Ray Moore – another great British landscape photographer – in the 1970s and we shared similar views on photography, which I was reminded about a couple of days back by a Facebook post which linked to her work shown on the British Library site. Fay and I stood in some of the same places, both metaphorically and literally for our photographs, at times with rather similar results taken some years apart, although she travelled our country far more widely than me. Her pictures, dramatic as some of them are, are always records of a particular time and place and her response to this. If you stood in the same spot, while the weather and the light might be different and trees and crops might have changed and you might experience the place differently you would have no doubt you were in the same place and that it was a real place. Not so with many of the landscape photographs of the year. So the controversy over the excessive manipulation of what had been the winning photograph in that contest left me a little amused but not concerned when I read about it in a PetaPixel blog post (from which some other links here come.) Apparently there are different classes to the contest, and the kind of tidying up that had been done wouold have been perfectly acceptable in some of them but not in this. Perhaps even more amusing (or depressing) is that the picture has a virtually identical viewpoint and composition to that of another photographer – and that it was made with that image in mind. Also impressive in some ways is the kind of detailed detective work that has been applied to this and some other images in the contest, with people using Street View and going to the actual locations where some images were taken to prove their various points. 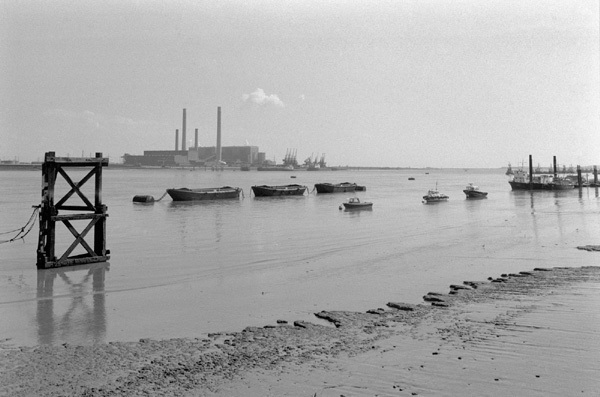 Cliffe, © 1985, Peter Marshall – another from the path we both trod. I should end with a confession. I once owned a graduated tobacco filter, though I don’t recall ever using it to make a photograph, though I did try a few with a similar graduated neutral density before I saw the error of my ways. I may still have both at the bottom of a box of photographic oddments in my loft. Both were the result of getting a prize in a competition in a magazine in the 1970s – and I think it was the second prize which turned out to be £50 which had to be spent on filters. In my defence it was tricky then to find things that I really wanted to make up that vast amount. This entry was posted on Monday, November 5th, 2012 at 12:24 pm and is filed under My Own Work, Photo Issues, Photographers. You can follow any responses to this entry through the RSS 2.0 feed. You can leave a response, or trackback from your own site.